Any International student dreaming of Studies Canada should obtain a student visa before going to attend classes in any Canadian University. The Student Visa in Canada is termed as Study Permit. So, once your admission form is processed by the Canadian institution and got an offer letter, you need to apply for a study permit. If you want to pursue any program that lasts for more than six months you require the Canada Visa/study permit. The Student can apply for the study permit under the student partners program (SPP) of the Association of Canadian colleges and the Canadian Immigration Programs in New Delhi and Chandigarh. The Student should hold an unconditional offer letter from one of the universities/colleges that are included under this scheme to be qualified for Study Permit application under SPP. 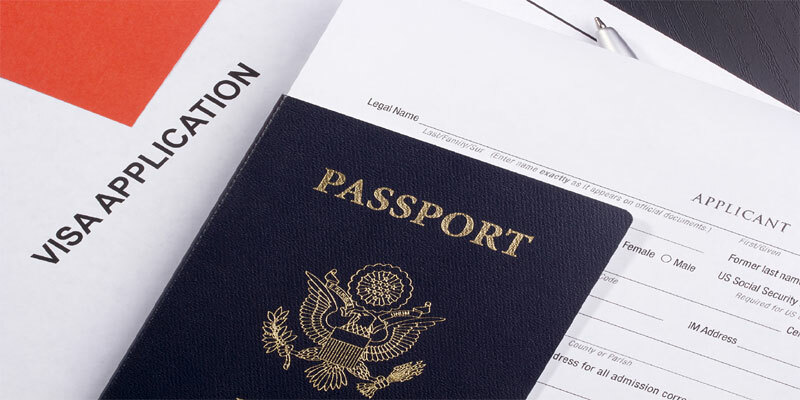 It is advised to start your visa process at least before two months. Yearly Canada welcomes more than 130,000 students from foreign jurisdictions. Once the Study Permit is issued, it allows foreign nationals to study in Canada at an approved institute for the duration of the specified course or program. But in some cases, like If the Course program you intend to study is less than 6 months duration, If you are a family member or staff of a foreign representative to Canada, and if you are a member of a foreign armed force, you don’t need a study permit to go to school in Canada. But to be eligible to attend Studies in Canada you must satisfy the certain requirements and should submit proofs of all the requirements at the time of Canada Visa Application Process. You must satisfy the below conditions to be eligible to study in Canada. The first thing is you must have been accepted by a school, university/college or other educational institution in Canada. Living Expenses for yourself and any family members who come with you to Canada. Return Transportation of yourself and any family members who come with you to Canada. You must have good health record and willing to complete a medical examination, if necessary. When you are applying for Student Visa in Canada you must prove that you have met all the requirements as it has specified to get entry into Canada. To Prove that you are an eligible student you must submit documents in proof all Visa Requirements. For the sake of the candidates, here we are providing the complete list of required documents to apply for Canada Visa. You should attach this Checklist as a cover sheet to your application. Check them and Organize accordingly before applying for Student Visa. Filled Application Form (aa fields should be completed). Original and Valid Passport of yourself. IELTS Test Scores took within last 24 months with an overall band not less than 6.0, and with no individual band less than 5.5. Photocopy of the Bio-data Page. Two Passport Size Photographs with White Background. The photographs should have your name printed on the back, dated and taken in the past 6 months. Use of a Representative form (IMM 5476) (if applicable). Letter of Acceptance from your SPP educational institute in Canada stating unconditional admission, course title, duration of the study, Level of study, start date (multiple start dates, if applicable) and latest possible date of admission. Proof of funds: You MUST demonstrate the purchase of a special (GIC) from a participating Canadian financial institution, in the amount of $10,000 CAD to cover living expenses for your first year in Canada. The Copy of receipts for tuition payment provided by the SPP institution. The Copy of Medical Examination from IMM1017 if you opted to undergo a medical examination before submitting your application. The Medical Examination should be done prior to submission of your application. Medical results are valid for one year only. Only one application per person per semester will be processed under the SPP (Student Partnership Program). Subsequent applications for the same semester following a refusal will NOT be accepted for SPP processing. It is mandatory to show a GIC Certificate obtained from Scotia Bank proving that funds to the extent of CAD$ 10000 are available as living costs for the student, to file study permit application under SPP. After Verifying your application the Visa Officer will decide if an interview is required. If necessary you need to attend the interview on a given date at CHC, New Delhi.